Since I was born and raised in Colorado, I spent most of my adolescence in the mountains. But as I finished up college and ventured out into the world of being completely broke, I stopped going to the mountains much. Not only because my 1997 Honda Civic couldn’t cut it over the passes, but also because it was all so expensive. To get a pass, buy the equipment, get the gas to drive up there, pay for the food throughout the day, and sometimes even stay up there longer at a rental property…it all adds up super fast. And since I had grown out of my apparel that my parents had so kindly purchased for me when I was 13, I didn’t have any snow jackets or snow pants to wear. So I gave up on the mountains for a good 5 or so years. Luckily, now I have a car that can safely get me from point A to point B. BUT I still don’t have snowy apparel. 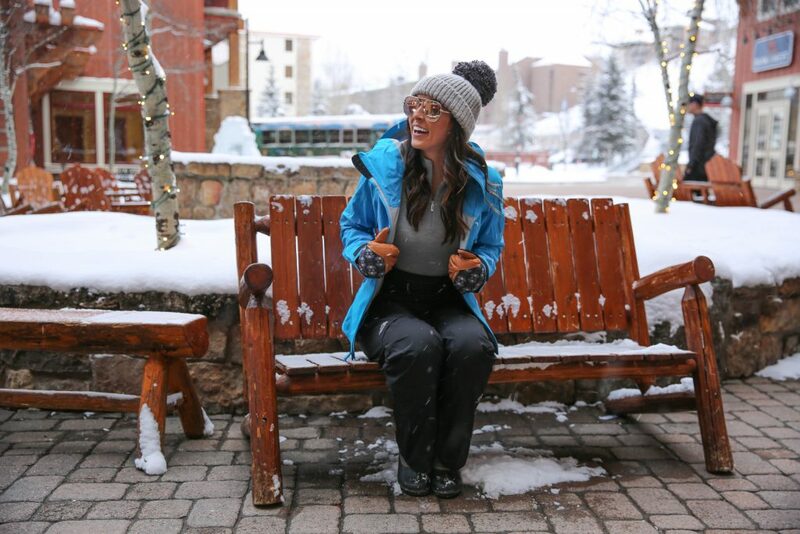 Sure, I have boots and I have some pom beanies bigger than my head, but waterproof apparel? Not sure much. And I know that MANY people who don’t live in Denver and travel here to see the mountains and get their fill of snow deal with the same issue. 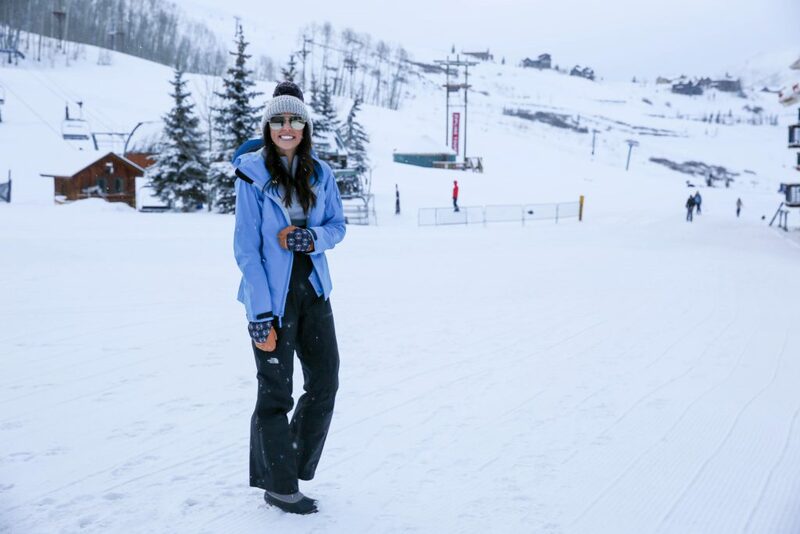 If you’re from Florida or Alabama or even many parts of California and want to head to the Colorado mountains for a vacation, why would you even spend the money on snowy, warm apparel when you may only wear it one time per year? And then have to pack it all in your suitcase, too?? It makes no sense! That’s where Threadventure comes in handy! Threadventure was started with convenience and accessibility in mind. Everyone loves experiences and adventures, but not everyone loves the hassle that can come with traveling, or the costs associated with owning expensive and rarely-used apparel. Helloooooo! That’s exactly me! Threadventure takes all the stress out of it. No more stuffing a checked bag until the seams burst, paying to have it checked, paying the fees when it’s over 50 pounds, wasting time at baggage claim, doing it all again on your journey home, and then not looking at it for another year or even longer. Threadventure simplifies the travel experience so you can focus on what really matter – the fun of the actual adventure! 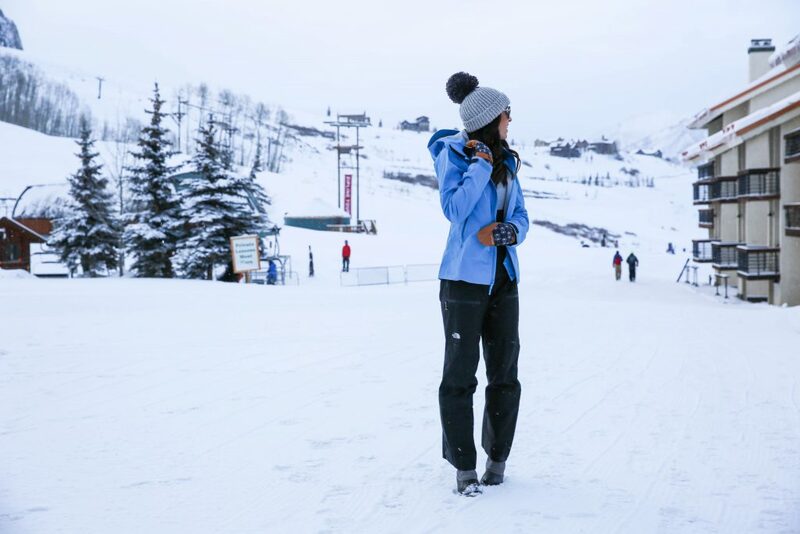 You decide what state-of-the-art apparel you need for your upcoming adventure whether you want to ski, snowboard, hike, camp or fish and how long you need it for. Someone from Threadventure will meet you at Final Approach (DEN cell-lot) where you can pick-up your gear and go. At the end of your trip, bring back all your items in the luggage they came in and they’ll take it from there! Not flying or live near Denver but still need apparel? No problem! Threadventure can still arrange to meet you at Final Approach or maybe even somewhere more convenient for you in the Denver area if it works out. Just provide the details of your situation in the box at check-out or reach out to them before placing your order. Since I live in Denver, Threadventure was nice enough to meet me at my house during a super busy day before I left for the mountains to drop off my apparel! And everything was wrapped up neatly in a convenient tote to throw in my car before heading up to Crested Butte! In my tote, I rented a Arc’teryx Sentinel Jacket, a pair of The North Face Summit L5 Bib Pants, a base layer Smartwool Zip-Up top, DAKINE Firebird Mitten Gloves, and a pair of super warm Burton Merino Phase Socks. So when the snow started dumping in Crested Butte, I was prepped and ready! My adventure mostly included indulging in cocktails while watching others eat it down the mountain. But that’s how I like to live, ok!? Stop judging me!! And one of the coolest parts about Threadventure is that they truly care about their community! To ensure that their customers get to wear only high quality and fully-functional apparel, many of their items will eventually have to be “retired” after a period of time and replaced with brand new apparel. When this happens, Threadventure will donate the used items to a charity organization or someone in need. Boys & Girls clubs, High School Clubs and different homeless shelters in the Denver area (until they expand outside of Denver) will all be impacted by Threadventure. By renting from Threadventure, you have a direct impact on this process! And Threadventure wants you to start exploring and experiencing your trip to it’s full potential without all the hassle. Right now they are offering a 10% discount for all PaleOMG readers when you use the code paleOMG10. This means you can explore Colorado and all the amazing mountain towns like Crested Butte, Steamboat, Telluride and every other town in between all while wearing warm clothes that make the adventures even more enjoyable! The guys behind Threadventure are so excited to share their passion with you so you can find your own passion as you get to know the great outdoors of Colorado. Click here to see all that Threadventure has to offer and don’t forget the paleOMG10 code at checkout! I promise you that you’re going to love your experience with them and love the apparel even more! This post is brought to you by Threadventure. It contains some affiliate links and I may be compensated for this post, but all opinions are my own. This compensation helps with expenses to keep this blog up and running! Thank you for all your support! Yesss, this is genius! 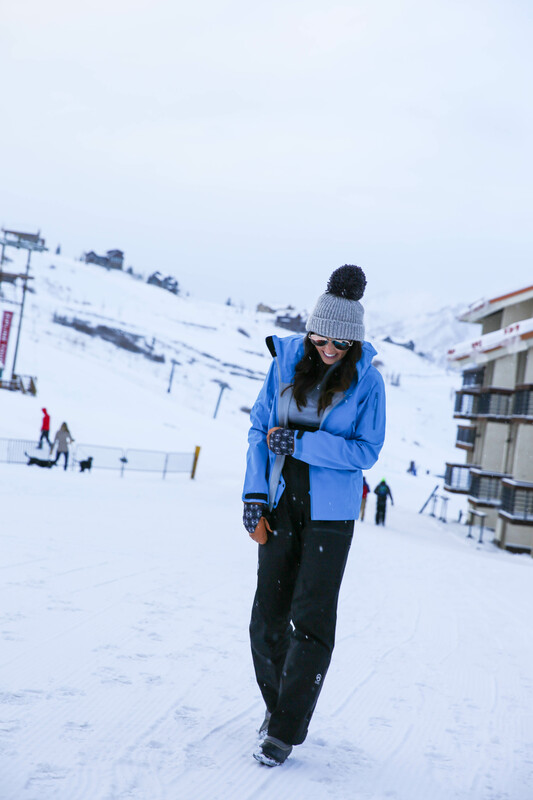 Snowboarding is high on my bucket list but I definitely don’t want to invest in snow pants and stuff that I won’t wear at all since we only get snow about 2 days out of the year where i live. Hey Lisa! We’re glad you like the idea and we hope you’re able to come to CO soon for some snowboarding. Let us know when it happens and we’ll make sure you’re taken care of! isn’t it such a cool idea?! This is incredible and I can totally see it being helpful in other locations too!!!! Thanks Juli! Thanks for the support, Maria! Glad to hear you think it could be useful! THIS IS AWESOME! I own all my own stuff but it would be so much easier to rent it than to lug it all the way from the east coast. Exactly, Alli! Don’t pay for extra checked bags and make your vacay stress free….like it’s supposed to be! This kind of a service is absolutely genius! It is so cool that you get to make relationships with companies like this and have opportunities to enjoy so many different aspects of life. It is so great! Hope the powder was deep for you up there! isn’t it such a freaking cool idea?! Thanks for the feedback, Jordan! Juli is pretty awesome, huh?! Thank you for this recommendation Juli! A friend and I just used this amazing service to go up to Breckenridge! The service was fantastic and I didn’t have to overstuff my suitcase with ski gear! so glad to hear it, melissa! Woo! Glad you had an awesome experience with us, Melissa! Hope to see you again on your next trip. Thanks for choosing us!